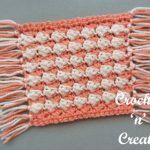 Kitchen Towel Holder UK Free Crochet Pattern – This ring holder is easy to make and edged with crab stitch. 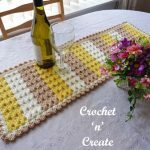 If untidy kitchen dish towels laying around drives you crazy, then this buttoned towel holder will solve your problem, it can be buttoned over a drawer or oven handle. Check out more of my free kitchen ideas. Make 20ch, ss to first ch to form a ring, ss into each ch to end. (20ss) DNT. 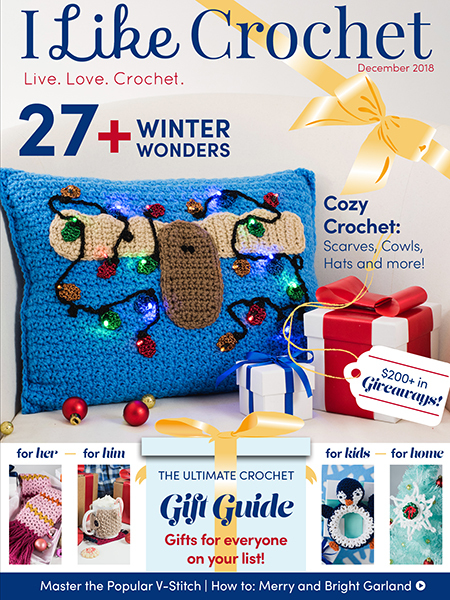 4th Row – 3ch, 1tr into each of next 8tr, 1tr into top of 3ch. Turn. Rpt 4th Row until eleven tr rows have been worked in all from the beginning. Turn. Border – 1ch, 1dc into base of 1ch, 1dc into each tr to 3tch, 3dc into top of 3ch, work 19dc evenly into row ends down first side of holder, 1dc into each of 31tr around the ring, 19dc evenly into row ends up second side of holder, 1dc into corner, ss to first dc on beginning of row. DNT. 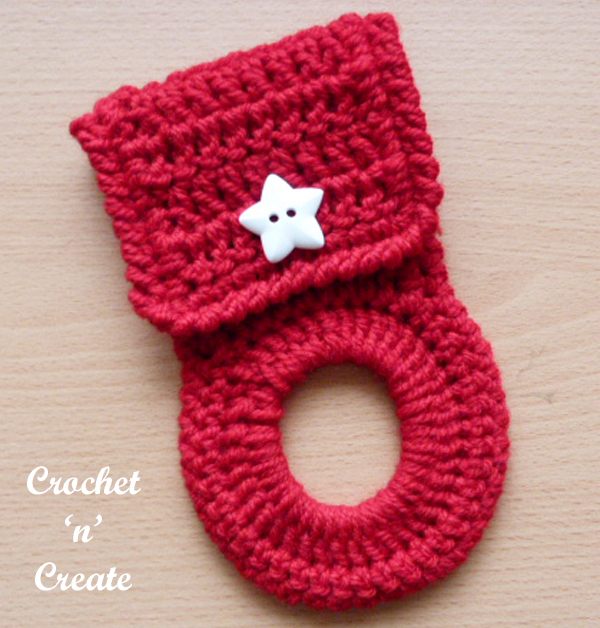 Work one row of crab stitch (see abbrev) around towel holder, ss to first dc. 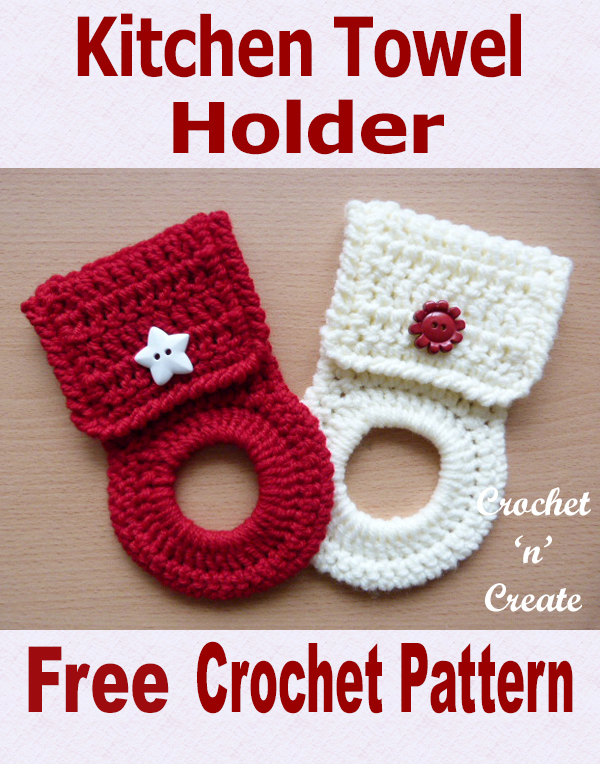 The written instructions and pictures for this free crochet pattern kitchen towel holder uk are copyrighted to crochet ‘n’ create © 2018. 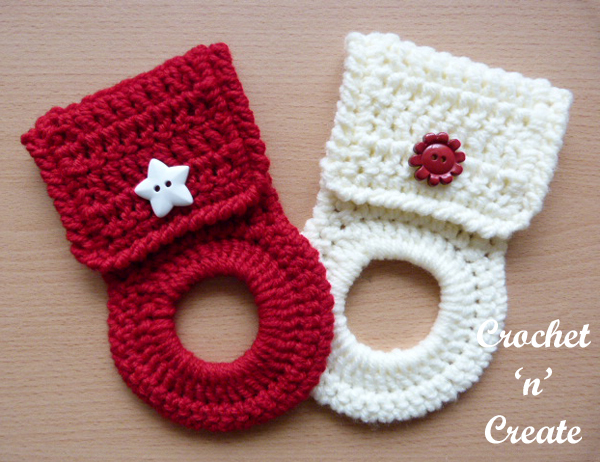 You are welcome to sell the finished products made from the free crochet pattern kitchen towel holder uk, I just ask that you please use your own pictures and put a link back to crochet ‘n’ create. 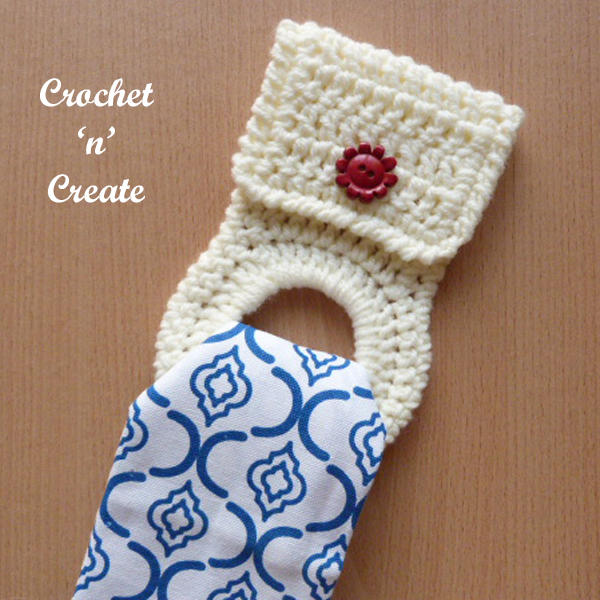 DO NOT share the written instructions for this free crochet pattern kitchen towel holder uk. 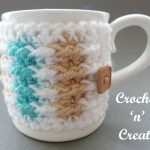 This entry was posted in crochet for the home, crochet for the kitchen and tagged crochet, crochet dishcloth, crochet for home, crochet for Kitchen on 15th December 2018 by crochetncreate.